Carl Wayne Bruns, 82, of Van Buren, passed away Wednesday, March 7, 2018 at his home. He was born July 1, 1935 in Van Buren to the late Frederick L. (Pete) and Sybil Smitherman Bruns. He was a graduate of Van Buren High School Class of 1953, and retired from Farm Credit as Vice President and as an accountant. 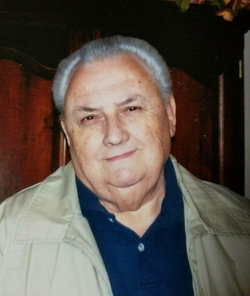 He was a member of First Baptist Church – Van Buren, and a past 40-year member of Wood Memorial Christian Church serving as Elder, Chairman of the Board, and Sunday School Teacher. He was a 32 Degree Mason of Van Buren Lodge #6, Order of the De Molay, Royal Arch Chapter #3, York Rite, Scottish Rite, White Shrine #3 Fort Smith, Amrita Grotto, Western Arkansas Consistory, Worthy Patron Eastern Star, Crawford County Committeeman Voting Polls, and a 20-year volunteer for Sparks – Van Buren auxiliary. In addition to his parents, he was preceded in death by a brother, Frederick Charles Bruns. He is survived by his wife, Daisy Center Bruns of the home; two daughters, Karla Bruns Booth and husband Clay of Edmond, OK, and Lulu Bruns of Van Buren; a son, Carl Wayne Bruns, II and wife Tiffany of Fayetteville; a sister, Mary Bruns Lacey of Van Buren; seven grandchildren, Amy Bay, Kelly Cheek, Brittney Skelton, Sara Bruns, Hannah Bruns, Brittany Jones, and Ryan Waits, and ten great-grandchildren. Committal services will be held privately, under the direction of Edwards Van-Alma Funeral Home of Van Buren, AR. The family will visit with friends from 3:00 p.m. to 4:00 p.m. Friday, March 9, 2018, at the First Baptist Church Chapel at 1121 East Main Street, Van Buren, AR. Memorial contributions may be made to Almost Home Animal Rescue at 3390 Pointer Trail East, Van Buren, AR 72956.